It’s not news that student interest in computer science and other applied disciplines is burgeoning nationwide, for diverse reasons: intellectual interest in using new tools to solve pressing problems; a Facebook effect (the transformative power of computing meets who wants to be a billionaire? ); strong employment prospects (have you seen starting salaries in Silicon Valley?). There is interesting evidence on just how attractive this lure has become for Harvard undergraduates. Looking within the traditional academic divisions (arts and humanities; social science; science; and engineering and applied sciences) to actual concentrations reveals a swift, tectonic shift in fields of study. Based on recent data, the clearly quantitative courses of study (computer science, applied mathematics, mathematics, and statistics) now have more than 920 disciples: about triple the census just before the financial crises and recession in 2007-2008. The surprise is that this outnumbers the 830 or so concentrators in the eight biology- and life-sciences-focused fields, which have long been of major interest to would-be researchers and physicians alike. The physical sciences in the aggregate have nearly 600 acolytes. Given the growth in quantitative concentrators, and steady cohorts in life and physical sciences, undergraduates as a whole have swung decidedly toward scientific fields, broadly defined, in the recent past. For what it is worth, the faculty ranks are evolving, too. 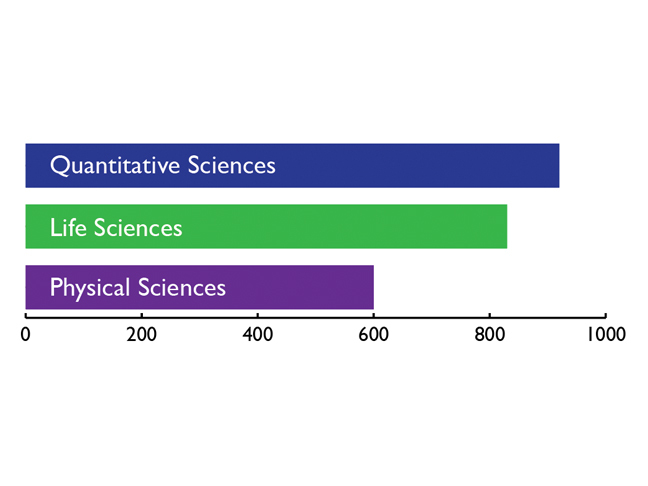 Faculty of Arts and Sciences data show that in the fall of 2006, when there were 701 ladder faculty members, 30 percent were in arts and humanities disciplines, 35 percent in social science, and 35 percent in sciences and engineering and applied sciences combined. This past fall, when the census numbered 732 professors, the relative proportions were 27 percent, 33 percent, and 40 percent.